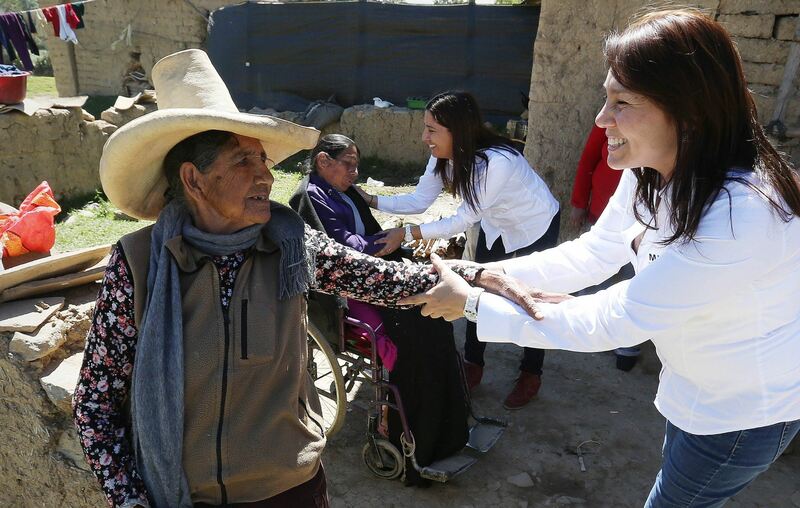 Titular del Midis, Paola Bustamante, visitó a usuarios de diversos programas sociales de la región Cajamarca. 10:33 | Lima, Jul. 24. Extreme poverty rates among those with non-social assistance-based income dropped from 32.8% to 24.1% in the poorest rural areas of the country in the past four years, so implementing programs such as Juntos and Pension 65 will help prevent them to fall back into that situation, Minister of Development and Social Inclusion (Midis) Paola Bustamante said. “Poverty has reduced significantly this year and Juntos and Pension 65 are looking to take direct action to support the extremely poor population, so that they don’t fall into that condition anymore. We are about to reach the goal set at the national level,” she said. Bustamante pointed out that about 500,000 families at the national level would remain extremely poor if they did not get support from Midis’ social programs (Pension 65 and Juntos). As for extreme monetary poverty figures, the minister said it has dropped from 6.3%, when Humala took office, to 4.3% now, which means the 5% target set for 2016 is almost accomplished. “Extreme poverty in rural areas has fallen from 20.5%, when Humala took office, to 14.6% now," she emphasized. When speaking of the progress in reducing child malnutrition during the current government, Midis’ head stressed that such decline is more notable within the scope of Juntos program, given that conditional transfers of state subsidy ensure neonatal and well-child care of beneficiaries’ minors in order to guarantee their good health and growth. At the rural level, child chronic malnutrition declined from 37% to 28.8%, while at the national level it has dropped from 19.5%, in 2011, to 14% now, very close to the 10% target set for the end of this administration period. As for anemia, Bustamante recognized that there is still a lot to do in rural areas when compared to national average figures, but assured it will be reduced and will reach the 20% target set for 2016 thanks to the efforts being made. The government official recalled that Midis has invested between S/.3.5 billion (over US$1 billion) and S/.4.5 billion (about US$1.4 billion) in social programs since 2012 until now. “Every budget has been executed, because all Midis social programs are implemented under a performance-based budgeting framework, that is, funds can not be used for other purposes than such social programs,” she noted. Bustamante Suarez is confident that the current social inclusion policy will be continued by next governments, since it’s a State policy that doesn’t need to be identified to a government. “The social policy is aimed at universalizing State services for those who need them. We are talking about the right to health, education, drinkable water, electricity and connectivity. That is why we are sure major improvements in closing basic services gaps, particularly in rural areas, are going to continue in the following governments,” he highlighted.